Depilex Beauty Salon & Institute is one of Pakistan’s largest beauty training institutes with internationally qualified staff. Some of the best makeup artists, hair dressers and beauty therapists in Pakistan. 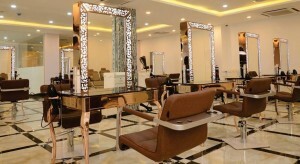 Depilex opened the doors of its first salon in 1980 in the bustling metropolis Karachi. A new name in the select society of beauty service providers, but with sheer determination, hard work, and dedicated leadership of its founder Massarat Misbah it is today a household name. The forty established salons across Pakistan cater expertly to its esteemed clientele and provide the best in hair and skin care. Depilex is today considered a forerunner in this competitive industry of fashion and beauty. Beauty is the visible face of health and no one knows this better than Massarat Misbah .She added the health center under the Depilex umbrella of beauty services to further empower the women ‘s self confidence. The center offers a selection of programs to suit individual needs under certified instructors. Today’s woman aspires to reach the pinnacle of flawless grooming for this she has to achieve and maintain the balance of mental and physical wellness The Health Center shows you the path to attain your goal of radiating beauty from within. 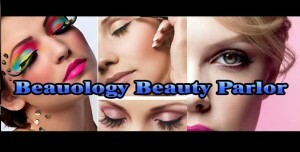 Depilex Institute is the only beauty institute in Pakistanthat has foreign affiliations. A beauty salon’s success lies in the art and application of Cosmetology. Depilex on its journey to the top unfurled its umbrella and established the recognised institute ,Depilex College of Cosmetology in Lahore to teach and train technicians to be the best in their chosen field.The college combines classroom instruction with hands on training by renowned experts.The college offers a rigorous curriculum designed to meet the exacting international standards of beauty academia.The college has well equipped classrooms and also offers hostel facility for resident students. Depilex College of Cosmetology( DCC ) offers international certification thus making it possible for aspiring students to attain quality education right here at home.Further details are available at www.depilex college.com. All women represent various ideas of beauty and create looks that make them feel prettier and more confident. At MM, we believe that every woman is beautiful and with the right makeup and look can be a force of true power. Our expert color palette will enhance individual beauty and add to layers to confidence. To this end, MM brings a whole range of cosmetics, designed specifically for our skin type and skin tones by none other than the legendary Masarrat Misbah.